I was just diagnosed with frequent premature ventricular contractions (PVCs), 57,000 per 48 hours. The doctor said that is a lot. Really did not know I had them until I noticed a pulse rate of 39 on my blood pressure (BP) monitor. It turns out the monitor was confused because my real heart rate was double that amount. I had EKG, stress test, echo and everything seems ok. I tried metoprolol succinate and it really made me feel bad. It did not control the BP at all. Now I am back on amlodipine. PVCs improve when on treadmill. I am thinking I just have to live with it. I am 72 years of age. I was diagnosed with benign premature ventricular contractions (PVCs) over a year ago. My cardiologist didn't want to place me on a beta blocker as my heart rate and blood pressure are very low. After much research online and elsewhere (and I am a cardiac nurse with many years of experience to start with) I started taking GABA 750 mg every morning and L-Theanine 100 mg with it. I use no caffeine, herb tea only. I do a lot of things that were suggested online by other posters and everything my doctor and the other cardiologist and gastroenterologist I work with suggested. It's worked! I am PVC free. I was having about 6 to 10 PVCs a minute to now maybe one or two an hour if any. I swear by the GABA and L-Theanine. The other things I do probably help some but the GABA made the biggest impact. 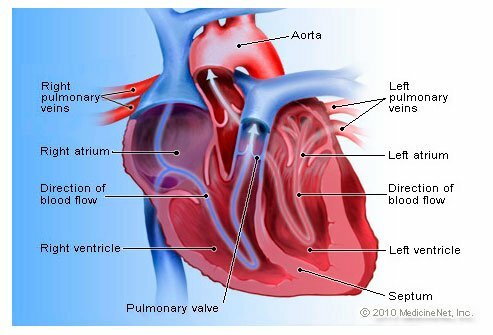 I have had PVCs (premature ventricular contractions) and PACs (premature atrial contractions) for about 30 years. They would only occur infrequently at first but progressed to the point I was taken to the emergency room from work, as I was having 20 plus a minute. My heart checked out okay and they gave me metoprolol which helped some. They came and went and I went to cardiologists and hospitals several times. By chance I had a bout of sciatic pain and went to a chiropractor. He asked if I had any other problems that he could help me with and I told him about the PVCs. He consulted a book and it said to adjust the atlas and T2 vertebrae for heart palpitations. After about three weeks they were greatly reduced and after three months the cardiologist said I could quit the medication and see if they came back. I am happy to say that I only have a couple a day now. Worth a try for anyone who suffers with this stuff. When my PVCs are really bothersome, it's often due to dehydration. I find that drinking plenty of water, drinking a fruit smoothie, and taking a multivitamin really help. My cardiologist has always encouraged me to stay active, and I do, though I need to watch out for dehydration. He did prescribe a beta blocker, but I find that taking in lots of non-caffeinated fluids and getting enough potassium in my diet helps even more. My sister and I shared this condition PVC (premature ventricular contractions). At that time it was not known as a medical condition. In fact when asking my doctor about it he had no idea what I was talking about. Fast forward, I am now age 64. I have 32 year old twin daughters. My daughter Jennifer called me a few weeks ago asking if I had ever felt extra heart beats. She told me that she had been diagnosed with PVCs. I suddenly remembered those extra heart beats that I used to have and that I recently had one. My daughter was not put on any medication. I will inform my doctor about this condition when I see him in two weeks. I doubt that he will want me on any medication for this condition. To think that I had this going on for so many years and did not know I had this. My sister died undiagnosed of this condition after cancer surgery one week post-surgery. I am thinking that this 'now and then contraction' set her heart out of rhythm. The nurse found her on the floor at her bedside and they had a crash team in this hospital so they were called. They told me that her blood gasses were good but never once did they get her heart to respond. They worked on her for 20 minutes. I am a patient of mitral valve prolapse (MVP) and hyper tension (HT). Recently I have been having missed beats with long pause. I am now taking metoprolol 25 mg BID. I have premature ventricular contractions (PVCs) since 35 years ago due to stress when I was a student at college of engineering. At that time my cardiologist saw my heart was healthy and sent me to a psychiatrist. I use Ativan and see it stops PVCs but I still have palpitation, now I use citalopram but I have PVCs within controlled limit. I use citalopram 30 mg and Librax 5 mg daily to control my premature ventricular contractions (PVCs). I had the worst problem with PVC when I was taking ibuprofen too much, perhaps two per day. I now only take about one per week. I was not only having them when I laid down in bed at night, I was having them whenever at rest, for example, sitting in my armchair watching television. I only have them now when I have caffeinated tea or wine too close to bedtime. It feels like adrenaline, and the only thing I can do is just wait for it to run its course. I suddenly started having PVCs and went to the ER. The doctor told me my labs were fine, nothing to worry about. My regular doctor said that labs were fine; put me on a beta-blocker, Toprol. I was to increase the dose up to 50 mg twice daily and it seemed to help, but not always. Lower blood pressure seemed to make the PVCs less noticeable, that's all. Went to a cardiologist and he said that even though labs were normal, he would like to see the potassium and magnesium higher. So, I started eating better and taking OTC potassium and magnesium, weaned off the beta blocker, and I'm doing much better. I make a fruit smoothie every day with banana, orange, etc, and it helps. Cantaloupe helps too. Maybe as we get older, we just don't metabolize food the same? I am a retired critical care nurse. My pvc's and occasional couplings were caused by a stress situation while working. I had trigeminy after this stress event and was thoroughly checked out by a friend who was a well known cardiologist. The trigeminy never returned. I do not have any heart disease or problems, but i have had pvc's with occasional coupling for 28 years. They are asymptomatic. I exercise, workout, and walk 1-2 miles a day. My pvc's have slowed down considerably. I lost weight, started drinking decaffeinated coffee, and only have 1 drink/day. I avoid arguments and stressful situations. Some days i have no pvc's. The one thing that made the most difference for me was no caffeine of any kind-coffee/soda/chocolate. If i try to drink caffeinated coffee just 1 morning, i have pvc's for 2 days afterwards. I hope this helps someone.